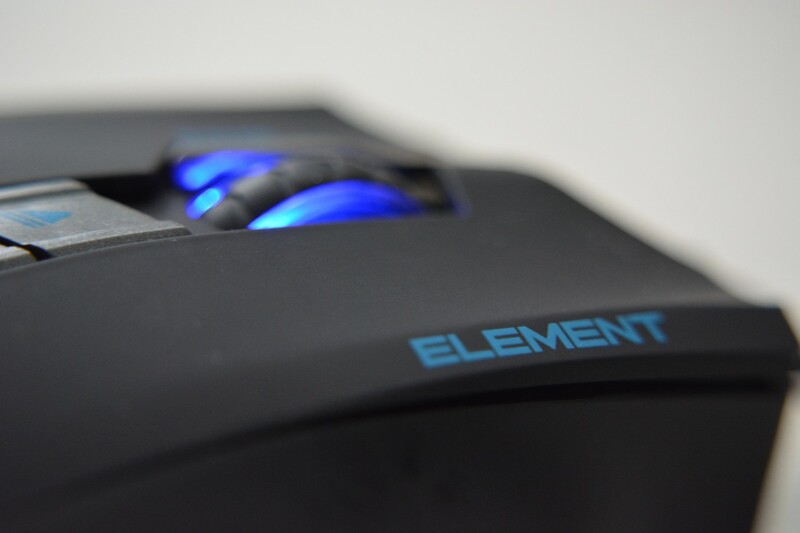 British company Element Gaming continue to make a strong push into the PC space with some quality peripherials - and today we’re going to take a look at one of the latest additions to their range - a mid-range gaming-geared mouse with a bargain price tag: The Iridium 820. 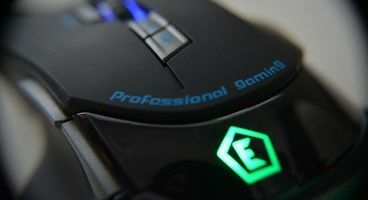 First impressions of the mouse are pretty excellent - it features a slick-looking curved design and for once in gaming mice is a setup that’s relatively free of LEDs - there’s a subtle glow of the Element Gaming logo and on each of its buttons, but there’s no loud, garish glow from every facet of the mouse as you often find on gaming-specific setups. 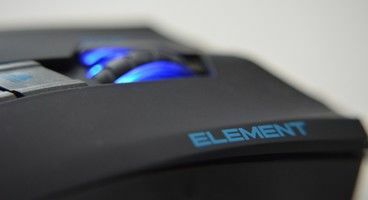 The Element logo can be configured to glow different colours via the built in software - but there’s a bit of a frustration here in that no matter what colour the logo is set to glow, the mouse wheel and buttons will always glow blue. I always found it better to keep it as the default blue - that makes the design look its best. There’s also a useful option to turn this lighting off entirely. The most important aspect of any mouse is of course in ergonomics and practical use - and this is where the Iridium 820 holds up especially well, especially considering its very reasonable £29.99 price tag. The mouse is modestly sized but still has a bulk to it that means it slots into the hand in a very comfortable manner. Its design is more leftie-friendly than many gaming mice, it is still constructed in such a way that it’s slightly more comfortable and more ergonomically designed for right-handed folk - so keep that in mind. Present on the mouse are 8 varied and fully-customizable buttons. There’s (of course) the two standard mouse buttons, plus a mouse wheel with a press-click function, two side buttons accessible to the thumb (but only for right-handed people) and a further three extra buttons on top of the mouse - one easily accessible, two others placed just below the scroll wheel. The buttons feel well placed and spaced, though if it were entirely down to me I’d likely adjust the position of the scroll wheel by a tiny amount. All of them have a satisfying click and resistance when pressed, and the functionality allows for a decent amount of macro-assigning action for the budget price. The tech powering the mouse isn’t bad either - the DPI tops out at 8200 - far too high for me to comfortably use - but can be easily adjusted down as low as 200 and then anywhere in-between - so it’s easy to find and select a more manageable setting with the built-in software. The software itself shares a lot in common with most other similar suites from other companies - it’s a bit spartan, and the over-the-top software complete with a grim looking try-hard visual design. 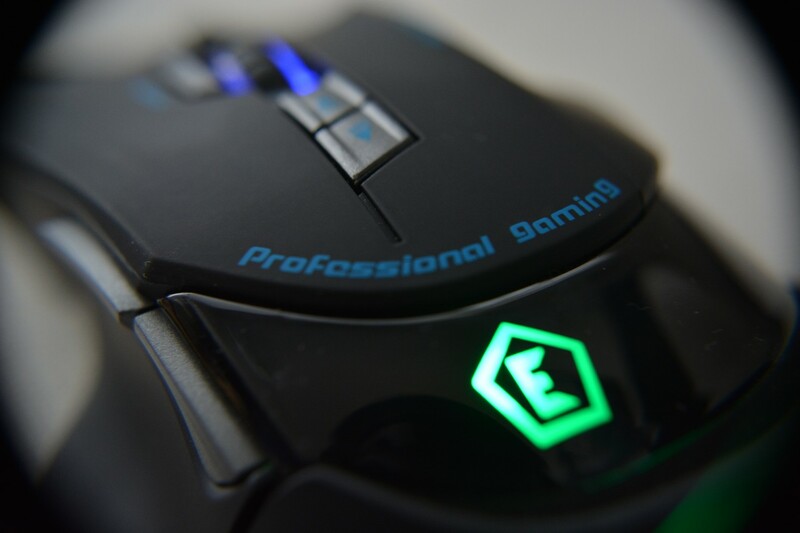 The functionality is better - there’s tabs to adjust the Lighting, Sensitivity, Button Settings, and then a selection of more advanced system settings around the mouse performance. All of this works great, and any individual settings can be saved to one of five profiles that can then be easily flicked between on-the-fly. I just wish the software UI was a little more user-friendly. The software leaves something to be desired, then - but it feels like at this price, something had to give. 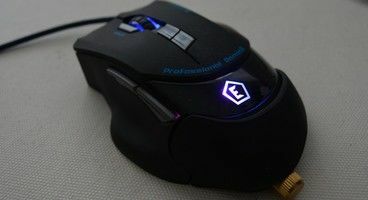 The actual product itself feels like a sturdy, quality product, and its feature-set appears in advance or equal to PC gaming mice that are much more expensively priced than this. If you’re looking for a solid entry-level gaming mouse that won’t break the bank but will still offer far more ergonomic comfort and technical functionality than the sort of default mice many use, the Iridium 820 is a perfect choice. Element Gaming’s strong showing continues.